Struggling to forget a crumbling marriage, forty-year-old Anna Lucia Lottol comes to Venice to visit an old friend—but instead of finding solace, she is dragged into a police station and accused of murdering a money laundering count with whom she had a brief affair. In the days that follow, Anna, an US Treasury officer with brains and athleticism, fights to clear her name in a seductive city of watery illusions. But as she tries to pry clues from a cast of uncooperative characters who implausibly deny what she sees and hears, she begins to question whether they are hiding something…or she is losing touch with reality. Racing to unlock secrets, she succeeds instead in unleashing a powerful foe bent on destroying her. Will she save herself and vanquish her enemies, including her darkest fears? I visited Venice in my mid-teens and I fell in love (and not just because my family on my Dad’s side come from there!). There is an air of mystery and history on every street mixed in with romance. It just has a special quality about it that I just can’t quite put into words. I was so excited to read this novel based in Venice and it did not disappoint me at all. She captured the mystery of Venice into her story that is full of its own mystery and history. We have Anna who is trapped in a scandal of murder and an affair. This is in the backdrop of an even greater scheme of lies, money laundry, secrets and murder. She is trying desperately to clear her own name plus work an active case. No one in the city wants to quite help her as they try to protect their own citizens and the secrets that they hold. I loved every moment of this well written novel. It pulls you in and leaves you craving more. It is very well written and suits the tone of the novel and setting. It is an exciting and suspenseful novel from start to finish – I could not put it down in fear I would miss what was coming next! I have to admit, I never saw the ending coming. It was an incredible and well-played out. 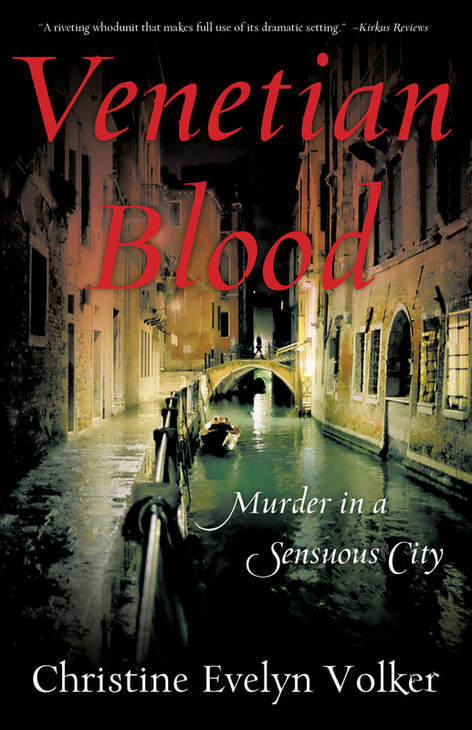 Venetian Blood is a definite must read novel. Venice has always been a place I’d like to visit someday. Sounds beautiful. This book sounds great. Venice is a place I’ve always wanted to visit.So much mystery.Love to read the book! Sounds like a very engaging book – the kind you end up reading deep into the night! Hopefully it will bring back some nice memories of my long-ago trip to Venice! I have been to Italy but not the Venice region, someday I would like to explore it, especially the gondalas.